How well do you know your neighbors? Meet the Weavers, Debbie and Marty. Marty, in hopes of providing a better life for his wife and three kids, recently bought a home in Hidden Hills, a gated New Jersey townhome community with its own golf course. Hidden Hills is so exclusive that a house hasn't come on the market in 10 years. But one finally did and the Weavers got it! The show had 2 seasons and 44 episodes air between 2012 and 2014. Larry must decide where he wants to live when he finds out he's pregnant; new visitors arrive in the neighborhood. Following a whirlwind of series renewals and pick-up orders, ABC has apparently decided that it's time to start dishing out the bad news. 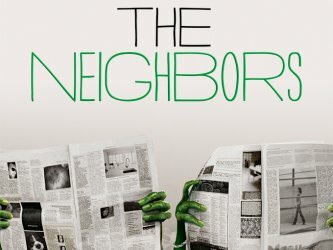 The network has decided to cancel sophomore comedy The Neighbors. Cast member Toks Olagundoye tweeted the news stating "Tweeps, I have known since last night, but was not able to share the news until it was announced publicly. #TheNeighbors has been cancelled."